A pocket sprung divan bed provides the ultimate in comfort and luxury. A pocket sprung mattress consists of around 1000 springs sewn individually into small pockets. 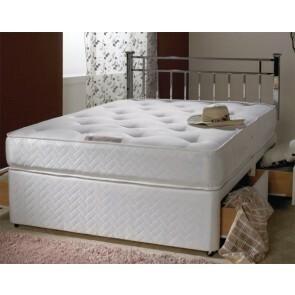 This provides a super protective and supportive mattress that responds to the contours and movements of the body. A pocket sprung mattress is particularly effective when one person in the bed fidgets or moves around continuously during the night, as the individual springs absorb the weight well and prevents the other person from waking. As well as the springs in the mattress, a high density foam is also used to help distribute the pressure well which makes for a relaxing and very restful sleep. A pocket sprung divan bed provides excellent support for the spine and ensures the body finds the optimum sleeping position quickly and easily. Because of this unique feature, a pocket sprung divan bed can actually lower fidgeting and general tossing and turning. Those who have difficultly sleeping often benefit from a more restful night’s sleep when they switch their mattress to a pocket sprung variety. Blood is able to circulate around the body more easily during the night when lying on a pocket sprung mattress and this helps the muscles and nerves in the body from becoming numb or cramping during the night. A pocket sprung mattress can be combined with a sprung divan base for a luxurious and comforting bed. 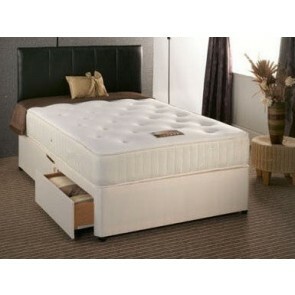 Here at Divan Beds Centre we have a huge range of pocket sprung divan beds available. We offer all standard bed sizes as well as a bespoke service for unusual sizes. All of our divan beds come with a choice of drawers too. From continental styles to jumbo sized drawers, our divan beds can provide all the additional storage you might need. We also have many different colours and materials available. If you are hoping to create an impressive and luxurious feel in the room then you might like to choose one of our black faux leather models. If you want a bed that looks cosy and inviting then you might like a stone coloured damask design. There are also suede divan bed bases available and many more besides. It is possible to purchase a pocket sprung divan base only, or the full bed set can be purchased. We even have a beautiful selection of bed linens and headboards available. Purchasing online is simple and very safe and we even offer free delivery on all orders over £300. If you would like to talk to a member of staff before purchasing, feel free to contact us via email or phone. We can be reached on 0161 920 6998 or simply fill in the contact form and a member of staff will be in contact as soon as possible. 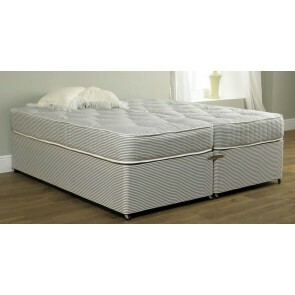 For pocket sprung divan beds or any other model of divan bed for that matter you have come to the right place! 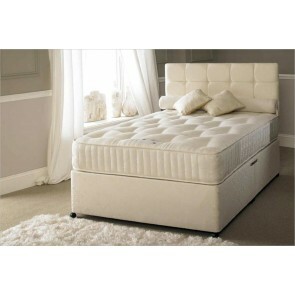 Divan Beds Centre is one of the leading suppliers of divan beds across the UK. Contact us today to find out more.